Athletic Therapy Services (A.T.S) is a program administered by the Manitoba Athletic Therapists’ Association (MATA). Which is a non-profit organization mandated to govern the profession of Athletic Therapy in Manitoba. The MATA consist of Certified Athletic Therapists, certification candidates, as well as enfranchised members whom are all committed to providing prevention and care of activity related injuries, in all levels of sport and recreation, ranging from the grass roots level to the elite athlete, throughout Manitoba. If you are planning an upcoming event, let the Manitoba Athletic Therapists’ Association take the worry out of your medical coverage. The Athletic Therapy Services program offers a wide variety of medical/emergency/first aide coverage for any event. Events including but not limited to: international, national, provincial, regional, high school, league games, recreational, promotional and charitable events. Manitoba Athletic Therapists’ Association, Inc. 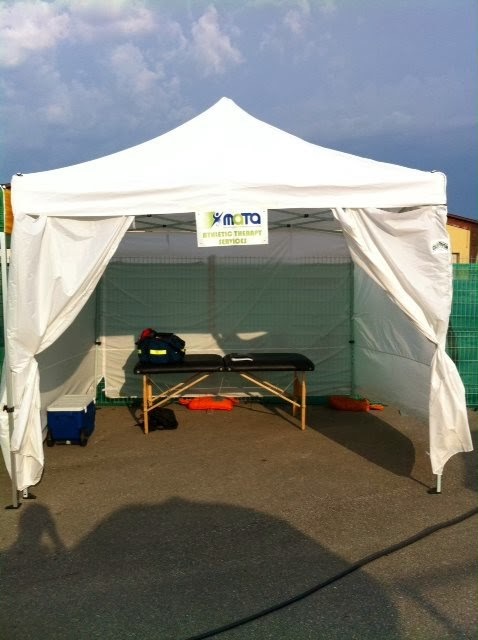 The Manitoba Athletic Therapy Services Incorporated, under the direction of the Manitoba Athletic Therapists’ Association Incorporated, wishes to ensure that all athletic participants and event organizers have access to sport medical coverage, anywhere in Manitoba, for their particular event.